HVAC System Performance Matters - 4 Reasons Why - Pure Air Control Services Inc.
HVAC system performance can affect many aspects of building operations. If just one part of the system is faulty then everything from building health to energy efficiency can be negatively impacted. Consider the importance of these two categories. Good building health ensures that occupants are comfortable and productive. Maintaining acceptable energy costs is critical to keeping a balanced budget for operations. Both can have consequences to the bottom line for an institution or a business. Let’s explore 4 reasons why HVAC system performance matters. Indoor Air Quality issues is one of the top factors of environmental risk to humans. After all, human beings spend up to 90% of our time indoors. Poor building health can affect occupants in different ways. Indoor pollutants can trigger allergies to produce respiratory congestion, irritated eyes, headaches and dizziness. These pollutants can also lead to asthma attacks. So, it’s easy to see this can cause disruption and even employee or student absences. Keeping an eye on HVAC system performance relative to hygiene is an excellent way to maintain good baseline indoor air quality. Regular assessments of the cleanliness of the equipment and ductwork is a must. Definitely do not wait to hygienically clean the system when subpar conditions are found. This includes the air handling units, HVAC coils, and all corresponding ductwork. Also, be sure to change all filters on schedule. The importance HVAC system performance in modern buildings cannot be stressed enough. The exchange of fresh air throughout the occupied space is essential to reduce pollutants, micro organisms, and odors. The Control and HVAC systems are also is instrumental in regulating temperature and humidity in a building. A recent study by Harvard/SUNY concluded that occupant comfort is a key factor in cognitive function and productivity. An earlier study conducted by the U.S. Green Building Council estimated that the annual cost of building related health conditions is $745 per employee! It also demonstrated that salaries and benefits can be as much as 200 times more than energy costs. Consistent monitoring of building automation systems and mechanical fitness will go a long way toward maintaining optimal comfort. However, it is also good to test the building envelope for tightness, pressurization, and pollution that might come from sources other than the HVAC system. Issues that originate outside of the HVAC system can and will degrade its performance. As most facility managers, engineers and operations executives know the HVAC system consumes more than 40% of a building’s energy. This is especially true for 24/7 operations like hospitals and other organizations with more than a day shift. Maximizing HVAC system performance for energy efficiency is a challenging proposition. There are many interconnected components in the system such as boilers, chillers, pumps, fans, cooling towers, and air handling units. It is imperative to understand the system and keep an updated mechanical inventory. Faults in one area of the system can have a chain reaction on efficiency in other areas. Once again building controls can help monitor the system and rapid response to alarms allows facility managers to mitigate issues that could be more costly if unattended. One area often overlooked for energy efficiency by facility managers is the HVAC evaporator coils. Just 3/16 of an inch of fouling across a coil can lower the efficiency of the unit 20 percent. Basically, when coils are deeply fouled airflow is restricted, the temperature exchange is degraded, and entire system has to run longer to achieve the desired temperature set point. Restricted airflow also can increase humidity levels reducing occupant comfort and creating conditions for microbial growth, like mold. 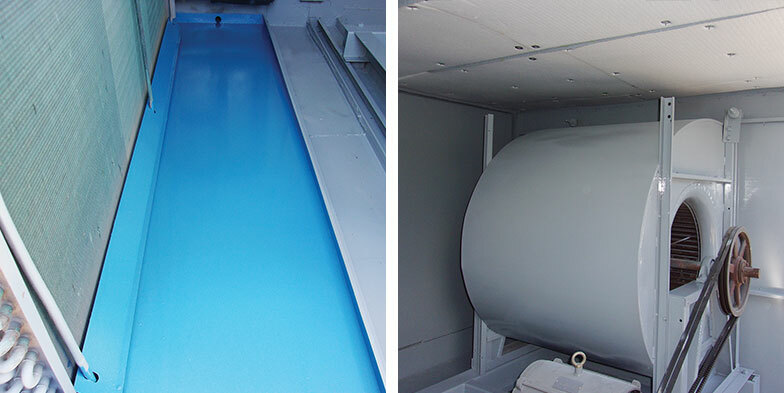 Superficial cleaning of the coils can be a good option for reducing odor and topical disinfection, but it does very little to unclog deeply fouled coils or improve efficiency. However, the steam cleaning method will penetrate completely through large coils removing debris, and restoring efficiency. Some power companies even offer rebates for steam coil cleaning. Routine steam coil cleaning is effective in maintaining optimum energy efficiency and HVAC performance. Finally, as previously mentioned having a plan and sticking to it is the most important factor in HVAC system performance. Too often buildings get stuck in a cycle of deferred maintenance. In many cases this is driven by lack of funds and other times it might be a result of mismanagement. Either way, deferring maintenance always costs more in the long run over what is perceived to be savings in the short term. Being proactive allows facilities to identify potential issues and prevent them from happening. It results in less disruption and reduced work orders saving both time and money. Best of all, a well monitored and maintained HVAC system performs better across the board. The IAQ experts at Pure Air Control Services provide many solutions for optimizing HVAC system performance. Building Sciences is dedicated to indoor environmental testing and evaluation. 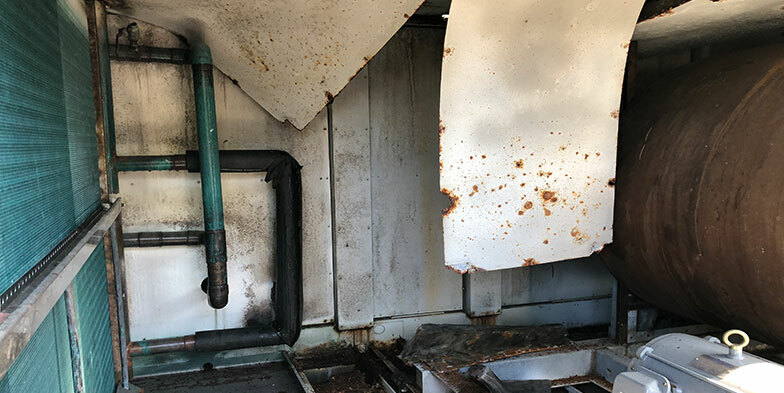 They can conduct full envelope testing to forensic level investigations such as HVAC Hygiene Assessments to report on the conditions of an occupied space. Environmental Diagnostics Laboratory tests and analyzes samples collected from within a building and HVAC system to identify and quantify any contaminants present. Building Remediation Sciences provides IAQ driven services to hygienically clean and restore HVAC system equipment. This includes our proprietary cleaning method PURE-Steam and our innovative HVAC New Life restoration program. Pure Air Control Services can also help with Preventative Maintenance Programs and emergency response in critical recovery situations. For more information about HVAC system performance or to utilize our professional IAQ solutions please call 1-800-422-7873.